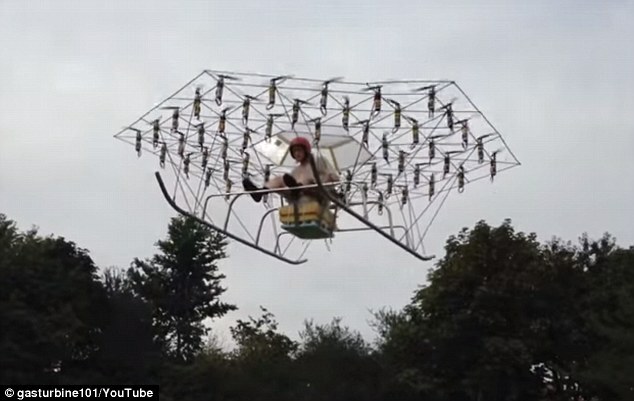 ‘Super Drone’ that uses 54 propellers is the brainchild of a British inventor. It has an ability to carry a maximum payload of 148 kg and obviously it includes the human being onboard. It has the flight time of 10 minutes on a single battery charge. With the passage of time, the sight of the drones is becoming a more common place. 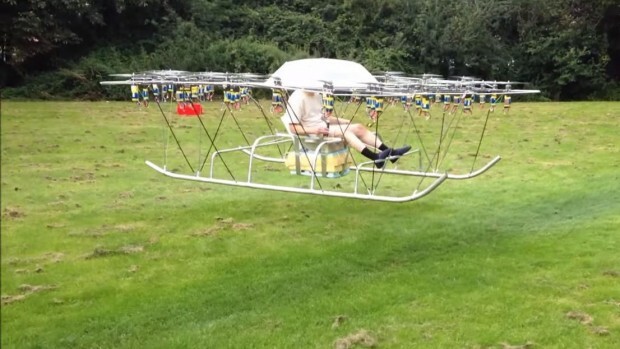 Recently, a new type of drone has been invented by a British inventor. Named as the super drone, it has 54 propellers. It has also been named as the ‘Swarm’, because it makes the sound just like a swarm of Bees. 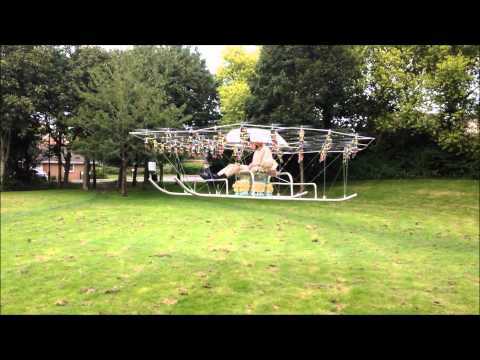 It can carry a weight of 148 kgs and can stay airborne for 10 minutes at a height of 15 feet. We see an inexperienced or cautious pilot taking the plane off the grassy ground. Such plane has the advantage that if some of its propellers fail, it would still manage to stay in the air and bring the pilot down safely. We really like this crazy innovation. And you, what do you think about any other uses of such machine?